She recently bested a demigod and her debut film is currently sailing at the top of the box office charts. 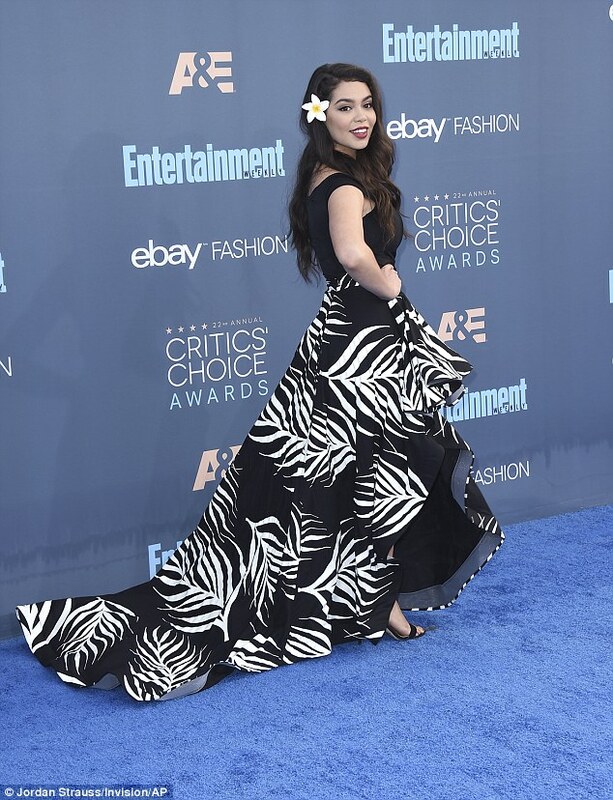 So it was no wonder Auli'i Cravalho was looking pretty confident on the Critics' Choice blue carpet on Sunday night. The 16-year-old beauty rocked a Hawaiian look in a gorgeous trailing black and white fern-patterned dress. its knee-high split showed off her perfectly matched pair of black ankle strap heels. In her luxuriant brunette mane she pinned a delicate white and yellow plumeria. The young actress was keeping her fingers crossed that Moana would be named Best Animated Feature. However it was a packed field this year, with the likes of Finding Dory, Kubo and the Two Strings and Trolls also in the running. However it was Disney's other offering Zootopia that ultimately took the gong on the night. Nevertheless, Moana continued its impressive run at the box office, topping the domestic market for the third week running, even holding off Jennifer Aniston and Olivia Munn's debutante Office Christmas Party. It earned almost $19million in week three, bringing its domestic gross to $145million, and its worldwide total to almost $240million. In fact, Moana has made more in its 19 days so far than Disney powerhouse Frozen had at that stage. 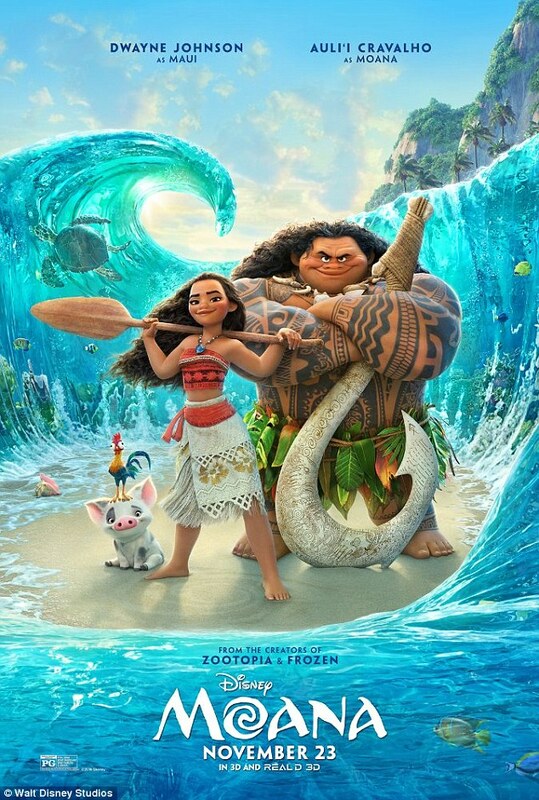 In Moana - Auli'i's first ever film - she plays Polynesian princess Moana Waialiki, who sets out to find shape-shifting demigod Maui (Dwayne Johnson) and save her endangered island.